Craving for a short island getaway without putting a strain on your bank account? Phuket is one of the best budget destinations. Barely two hours away from Singapore, you get to enjoy a stress free island life and still come back with a happy bank account balance. Ps. I lost my wallet upon arrival at Phuket when I was there, and our supposed splurge-friendly trip had turned into a budget trip instead. Read about how I spent just SGD700 for two pax (including flights!) for almost a week's stay at Phuket. Finding the cheapest flight is one thing, finding your way around on a foreign land is another. Here are a few ways you can get around the island for low or zero costs! 1. Ride the Song Taew, not Tuk Tuk! Unlike Bangkok, you need to take into consideration that Phuket is an island and there isn't any form of public trains to get you from point to point. A Song Teaw is somewhat similar to a Tuk Tuk, but much bigger because it's a converted truck with two rows of seats at the back. This means that you can fit more people, for the same price! It is fairly cheap and easily available but be sure to ask for the price and set an amount before boarding, to avoid getting scammed. 2. Rent a motorbike / car / truck! There are many nooks and crannies to explore and there isn't a better way to do this than at your own speed and convenience. A truck or small car would cost around 600฿ - 800฿ per day, but a bike rental would usually cost around 150‎฿ - 200‎฿ per day. Don't worry about petrol, it only costs 20฿ for a bottle of gasoline here. Safety Tip: Even though riding a bike with the wind blowing in your hair makes you feel like you're on top of the world, be sure to put your helmet on at all times. Be confident while on the road and if you want to make that turn, just do it - never hesitate. If you ride with hesitation and without proper safety precautions, you may end up with your face flat on the road and your leg scrapped and stuck underneath the bike... like me. There are many temples that don't charge entry fees for you to check out and some of them even turn their compound into a night market when the sun goes down! Plus, most of the tourist attractions are within close proximity anyway. If there are places where you can take a stroll to, take that stroll. You never know what you can find! There might also be free shuttle buses that operate between some hotels and tourist spots. So if let's say you happen to be at Jungceylon Mall and you're too lazy to walk back to your hotel or too lazy to bargain for a cheap tuk tuk ride, hop on a shuttle bus that goes to the hotel next to yours... for free! It is always important to plan in advanced so that you don't waste your money unnecessarily. For example, if you're looking to book a day tour, there would usually be transport provided for you to and from your hotel. Check with the tour agency for what is included within your package before paying the price and plan your days ahead in detail. if you decide that Day 2 would be free and easy, rent a bike. If you've booked a day tour for two days, you wouldn't want to rent a bike for a week, but only to have it parked and underutilized. While it isn't the cheapest, this is still my preferred choice of accommodation while on a stress free weekend trip because a) hotels are usually nearest to tourist spots, b) there's free wifi and c) there's room service so I don't have to worry about keeping the room clean! I particularly enjoyed my stay at Patong Paradee Resort and the best part was that it only cost us 1300฿ (SGD 54) for two nights. Hands down, the cheapest way to stay if you're looking for a space to simply just sleep for the night. A bed in a shared dorm room (with a common toilet) can cost as low as 80‎฿ - 150‎฿ per night while a private room in a guesthouse will cost you around 350‎฿ per night. When in countries like Japan, Airbnb would be an ideal budget choice. 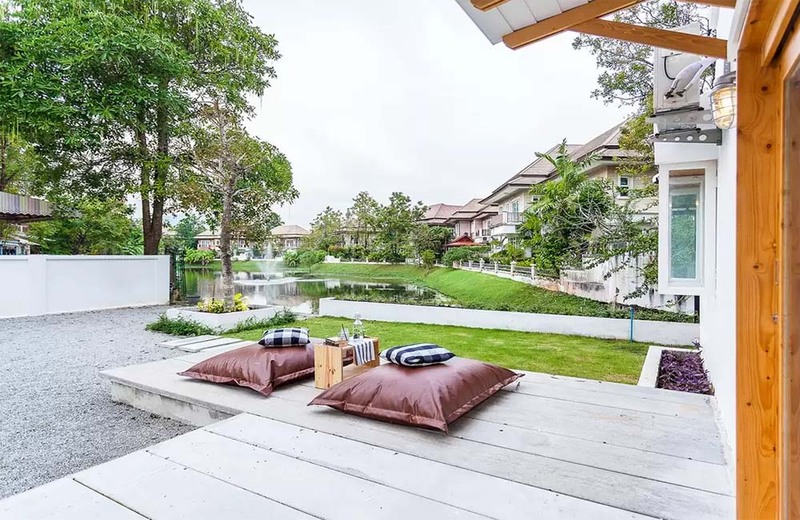 However, while searching for a place to stay in Phuket, you really have to search thoroughly as private accommodation like these (though still affordable) are usually further away from the main tourist spots as compared to hotels or hostels. Definitely my favourite way to try local cuisines, for only a fraction of what a restaurant charges. My favourite spots to find these goodies are Malin Plaza or the Wat Karon Night Market, simply because they are both less crowded than the areas around Banzaan Market or Karon Plaza. If you're staying in a hotel, most of them have a huge buffet spread for a cheap cost. Have a hearty breakfast in the morning so you'll be fueled up for the many activities you're going to do. Some hotels will even let you pack a sandwich or muffins to take away - make use of that! On nights that you wish to indulge in a proper meal and eat off a plate on the table, choose restaurants that are worth your dollars but yet, will not burst your budget. 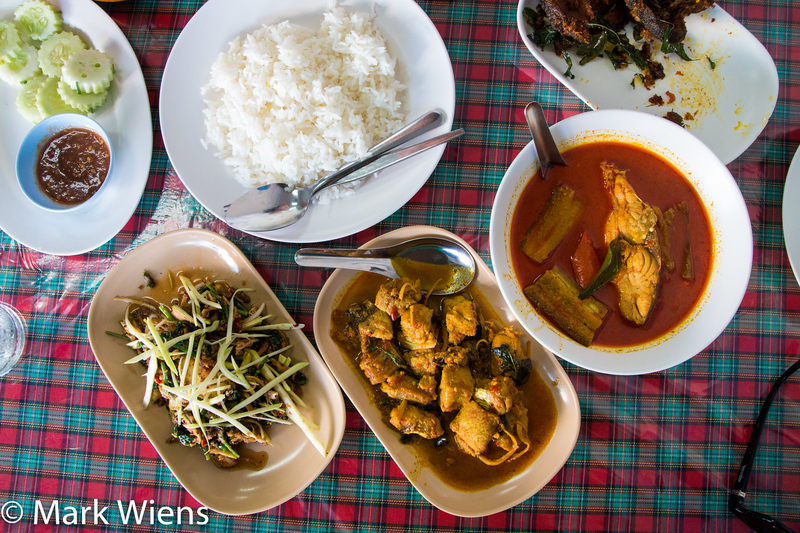 Places like Krua Chirafa has good spreads serving local Thai muslim food for affordable prices. My favourite out of all the free things to do in Phuket - to get an almost bird's eye view of the gorgeous coastline. They are mostly located out of the way and on the edges of Phuket, but you can always rent a motorbike so you can access all these view points easily and at your own time. In continuation with the previous point, Phromthep Cape (otherwise known as Sunset Viewpoint) is one of the many viewpoints in Phuket, but with a lighthouse that you can enter for no charge and a sunset view that will make you wish you brought a portable chair to sit on and admire. Grab a cheap set of snorkeling gear from the convenient store and snorkel for free! There are tons of beaches in Phuket - Patong, Kata, Karon, Surin, and the list goes on. The sunset at Patong Beach is spectacular but to simply lounge around, I prefer the latter because it's less crowded. You can even go parasailing or jet skiing there! Yes, you read that right. Instead of going temple hopping like the rest of the tourist population, how about you try something out of the norm. I only came up with this idea while writing the post actually, but this isn't something new, I'm sure there have been travelers who've done this before. There are approximately ten mosques located around the island, so that should be interesting! If you wish to explore Phuket beyond its coastline, this is the place where you'll find the old school side of Phuket, with all the European feels and many photo opportunities around their historical sites. If you wish to check out the Phuket Mining Museum, entry is 100 per person. 1. Skip The Island Hopping Tours! Get to the islands by speedboats or ferries that are easily available at the ports or departure counters by the beach - it will cost you only 400฿ for a ferry ticket from Phuket to Phi Phi Island. You'll spend much lesser and you have power over your whole itinerary! 2. When all else fails, visit convenient stores. Be it whether you got a sunburn or you ran out of money to buy your last meal, find one. We relied on convenient stores alot while in Phuket - namely Family Mart & 7 Eleven. They are everywhere, there's halal food choices for budget broke backpackers like us and when we got into the accident, we looked up and there it was across the street for us to get some water, alcohol swabs and bandages. Try greeting in the local language. Decline politely when you're not interested in their products. Be in proper attire while visiting places of worship - all these little actions will be greatly appreciated by the locals. As much as we wish to explore foreign land, we should always respect their local culture first. From all of the times I've been in Thailand, I got offered discounts whenever I'm not on a bad mood so.. smile!